DCR is excited to once again host and sponsor MA Engines owner, Mikael Anderson from Svendborg Denmark, and rider Tonni Anderson. They will be competing in the upcoming 32nd Annual Dubya World Vet MX Championships and doing their tuning and race prepping at DCR headquarters. Last year Tonni took 2nd place in the 30+ pro class on a 2016 KTM SXF 350 with MA Engines suspension and Daniel Crower Racing cams. This year Tonni will be returning on a new 2016-17 KTM SXF 350 with Mikael’s suspension and brand new billet intake cam with an adjustable gear. 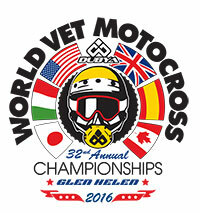 Click http://www.glenhelen.com/ to go to the Glen Helen Raceway homepage, or http://www.worldvetmx.com/ to go to the Dubya World Vet homepage. Thanks for reading and See You At the Track!! !